Baby and soft toy dogs. Basket with a small child. Furious hairy dog biting. Furious hairy dog biting a sleeve, slow motion. Dog biting sleeve, slow motion. Dog biting figurant's sleeve and weight him down. Dog is biting in slow motion. 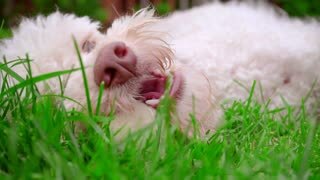 Dog is biting a figurant in slow motion, close-up. 27. 05. 2017 - Kyiv,Ukraine. 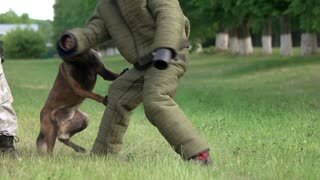 Trained dog is biting a man with a special protective suit. Trained belgian shepherdis biting a man with a special protective suit. 27. 05. 2017 - Kyiv,Ukraine. Dog is finishing biting. Dog is biting hard but abruptly releasing.